Arcade Comedy Theater presents Beta Stage, a weekly platform showcasing new, experimental, and student-generated comedy. Beta Stage features a variety of comedy acts, including short-form and long-form improv, sketch comedy, stand-up, and more! Shows are just under an hour long and just $7. Every Beta Stage is a chance to catch acts in various stages of development, and even get in on the action yourself. An average show could include an experimental performance by a veteran comedy troupe, the debut of a new student team, the world premiere of a sketch or short film. 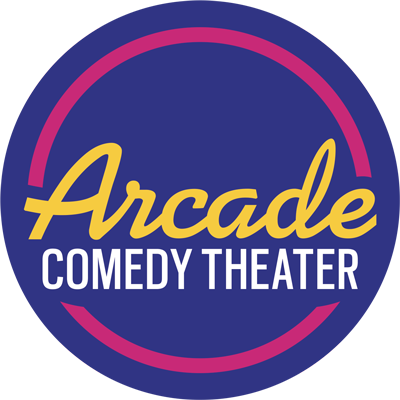 The Arcade is all about experimentation, trying new things, and elevating the art of comedy. Beta Stage is a weekly platform where you can see the comedy of tomorrow, today. Improv comedy involves players making up everything you see in the moment. Beta Stage often features short-form improv made up of improv games (a la Whose Line Is It Anyway) with an emphasis on audience participation. We also feature long-form improv made up of improvised scenes and one-act plays using different “forms” and techniques. Expect to see a mix of student teams, practice teams, indie groups, and Arcade house teams! Sketch comedy involves written scenes that are rehearsed and performed, often with blocking, costumes, and props. You’ll get to see local sketch troupes developing new material, premieres of new comedy videos, and writers seeing their words performed for the first time! Stand-up comedy involves (usually) one performer standing at a microphone telling jokes that they’ve written and rehearsed. It might be personal, clever, silly–it all depends on the comic. Look for brand new students performing their first 5 minute set and experienced pros trying out new material or a new style of comedy. There’s so much more happening at Beta Stage that fits into multiple categories or none at all! We’ve had improvised Broadway-style musical numbers, talk shows, piano karaoke, wrestling promos, actors from downtown productions improvising, folk music, more talk shows, silent stand-up, clowning and a whole lot more! All shows are booked in advance. To submit an act to be considered for inclusion in an upcoming Beta Stage, please fill out the form below. The form also lists all Beta Stage submission policies. Beta Stage is put on each week with the enormous efforts of an amazing team. Beyond producers, they are creators and evangelists, putting together new projects for the series and encouraging and catalyzing others in the community to participate. Let’s get to know the Beta team! Do you have questions about Beta Stage? Below are a set of questions we get asked frequently. If you can’t find an answer below, please contact us. Q: Who can perform at Beta Stage? A: Anyone! To date, we’ve never rejected an act. The three main types of acts we cater to are: 1) Arcade students 2) Performers new to Arcade and 3) Experienced Arcade performers looking to try something new. Q: Who do I talk to to book a slot? A: The easiest way to reach out is to fill out our submission form. This is just a “get to know you.” The appropriate producer will be in touch to discuss further. Q: Can I do ____ at Beta? OR I have a half-baked idea, how do I workshop it for Beta Stage? A: Yes! You can do ___ at Beta Stage! (we reserve the right to find exceptions to this, but we haven’t found them yet). We’ve also worked with acts to workshop their ideas. If you’re interested in this, let us know when you submit your act. Often one of our producers can work with you directly, or recommend someone in our community to help bring your idea to life! Q: I have a act, but it does not fit in any of the genres. Can I still perform it at Beta Stage? A: Yes! We have a wildcard night that can often catch such acts, and in many cases we bend our genres to make acts work on our normal weeks. Q: My idea is too experimental for Beta Stage. A: There is no such thing! We love experimentation, and we prepare the audience to be open-minded. This is the place to try things out, see what lands, what doesn’t, and what needs more thought and polish. You may want to try a few iterations of your concept, or different ways of packaging/explaining it, or in some cases, Beta might be the first and last stop for really out-there ideas that you just wanted to have done. All are welcome! Q: My show is not experimental at all. Can I still play Beta? A: Yes! Experimentation is just one of types of acts we cater to. We also welcome students and performers/teams new to Arcade–and in those cases, there is no expectation that you are trying something new. If you have any questions, check with your producer! Q: How long is a typical set? A: This can be whatever works best. We’ve had 2 minute acts and 1 hour acts (the show is an hour so that’s an upper limit). We want what’s best for your act, while maintaining our variety show feel and providing many performance opportunities! Typically, acts get 10-30 minutes. Q: I require a lot of tech and rehearsal time in the space. Can I get those for Beta Stage? A: Probably not. Each Beta show has a small staff and we typically have many acts to serve each night. We consider this a benefit of how we operate. Consider this a challenge to think of how you can put up your act with less technical requirements. Can you make your own sound effects? Can you use paper instead of slides? You could also bring your own tech (all ready to go) and person to operate it (we often don’t have time for our house manager to learn all your cues). Or in special cases, we may be able to accommodate you. Please ask, and we’ll work with you to figure out how to make your act sparkle! Q: I would love to perform, but I don’t have a group or an act. How can I get involved? A: Contact us, and let us know you’re interested! Often producers are looking for players for specific acts, and having a list of people to contact is very helpful! Examples include: playing short form games on improv night, acting in sketches on written night, participating in challenges like Quick Sketch, and more! Q: Where can I get feedback on my Beta Stage performance? A: The Beta producers are not intended to be coaches, directors, or other form of creative input. We recommend acts work with coaches or directors who can help them prepare and provide feedback (we can also recommend someone to work with if you are unsure where to start). Some acts have also built feedback mechanisms into the show (such as talkbacks and surveys). If you’re interested in this, please discuss with your producer! Q: Do Beta Stage acts get booked later for Arcade mainstage shows? A: Yes! We have a Thursday night show called Gamma Ray that is a semi-regular “best of” showcase from Beta Stage that is run as a more traditional mainstage show. We’ve also had producers try/prove out bigger ideas at Beta, then put them up at main stage. Examples include: smallest show in town, Stranded with Strangers, Throwback Live. Q: Do I need to perform at Beta Stage before booking on the main stage? A: No, it is not a requirement. We encourage producers to perform at Beta Stage first so that we can work together to find the best way to produce the show (in terms of show slot, marketing, etc.). Sometimes this is not needed for a variety of reasons. If possible, we think this is the best path to success! Q: What are the crowds like? A: Some shows get big houses, some shows get small houses. The focus of this show is less about sold out crowds, but providing some people to see new work who will be supportive and enthusiastic. We rely on our Beta acts to bring people to their shows, and to lend their support to the other acts on the bill (by watching, clapping and laughing along!). Q: What is Beta Stage doing to push the envelope? A: Beta Stage itself acts mainly as the platform upon which talented and creative members of the Pittsburgh comedy and arts communities can push the envelope. Because we are available each week, we have had a number of acts come through Beta Stage that have said Beta was the excuse or motivator for them to bring this idea to life, but the ideas are yours. In addition, there are some cases in which our producers will put on their own experiments and rally players from the community!